FOXBORO, Ma. — Staring down a 28-3 deficit in Super Bowl LI last February, it’s possible that Bill Belichick believed the Patriots needed younger, faster weapons to beat solid man coverage. Atlanta had played press man coverage for much of the first half as Patriots’ receivers struggled to get open. 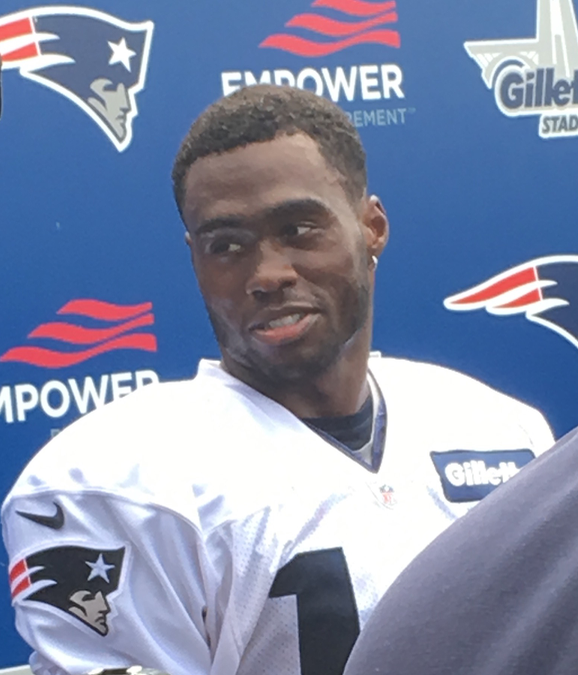 Despite ending up with a win, Belichick now has a player in Brandin Cooks who is capable of forcing defensive coordinators to change coverage because he can get downfield so quickly. But Cooks isn’t just a deep threat. He’s a weapon as capable of turning a 3-yard drag route into a touchdown as he is at getting behind an entire defense. Cooks’ mixture of speed, agility and acceleration are important tools. But it’s his route-running and catch-in-traffic abilities that make him a unique weapon worthy of the first and third-round picks the Patriots gave the New Orleans Saints in a March 10 blockbuster trade. At age 23, Cooks is entering his fourth NFL season. His age, and back-to-back seasons of 1,000-yard receiving makes the trade less of a gamble. Pairing Cooks with Rob Gronkowski gives the Patriots two weapons who will require extra attention, such as double-man coverage or bracketing defenders around them in zone coverage. But that means reliable targets like Julian Edelman, Chris Hogan and James White will have opportunities to beat single coverage. Of course, none of this matters unless Cooks can adjust to the Patriots’ system. The glue that holds everything together is four-time Super Bowl MVP Tom Brady. Cooks played with another great quarterback in New Orleans in Drew Brees.